Whether you are a professional freelance, an SMB or a large organisation, a CRM can offer you tremendous sales advantages. Make your prior spreadsheets and customer data interactive, shareable and embedded in (semi-)automated sales process? Now you’re talking CRM … Like the idea ? 1. To Better Forecast Revenue. Historical sales overview constantly keep you looking at the past. But past performance isnt always a good indication of future success. It’s far healthier and productive to shift a company’s focus towards the future. Now is as good a time as ever. With predictive intelligence earmarked as a key digital technology for 2017-2018, gaining more accurate forecasting and undertaking sophisticated analysis can offer major sales management insights, stimulate the team and boost performance. A CRM offers more visibility. 2. To Set Your Business up for Growth. Use your CRM to link the various activities and people together that are needed to convert a prospect into a customer. Basic tasks and workflow steps can be automated to both save sales time and to channel leads through the sales funnel faster. A CRM allows you to bring your various sales tools under one hood for easy access by the sales, marketing and support teams. Need a better link between the Sales and Marketing teams? Between the Sales manager and his Area managers and reps? When positioned correctly, a CRM can enhance trust and cooperation. 3. To adopt Sales Best Practices. We all know that the A-team does things better and faster than the B-team, or beginner sales reps, but how do you transfer their knowledge across? A CRM allows you to embed Best Practices and offer sales advice to up-and-coming sales reps as on-the-spot training opportunities and set them up for success also. Think: repeatable success processes. 4. To Find More Sales Opportunities among Existing Leads and Accounts. We all know that the best new customer is the one you already have. Well, a CRM offers enhanced analytics of sales opportunities from your existing leads and customer base. Combine this with its ability to communicate 1:1 with more people effectively, and you can see that a CRM is a genuine revenue driver. 5. To Improve Marketing – Sales – Customer Relationships. It’s inevitable: Sales AEs move forward in their careers just as anyone else. What a CRM promised to do, though, is help a new Sales rep to take over his accounts nearly seamlessly. With all prior emails, notes, phone calls recorded in the CRM, onboarding a new rep a breeze. Customers benefit from a professionally continued sales experience. 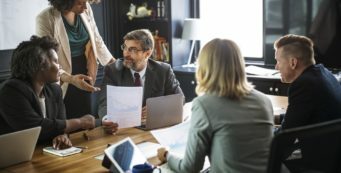 Instead of impacting sales performance, this can be a boost for brand reputation when communicated professionally with the customer. Need a better link between the Sales and Marketing teams? Between the Sales leadership, Area managers and reps? When positioned correctly, a CRM can enhance trust and cooperation between management and staff. And, once sales and marketing teams agree to what constitute a sales-ready lead, marketeers can pursue branding and lead nurturing activities to support the goal of greater revenue directly, one lead at a time. 6. To get a 360º Customer View and offer 1:1 Communication. A CRM – unlike any other business management tool – lets you get closer to your customer. This helps you to understand and serve them better. 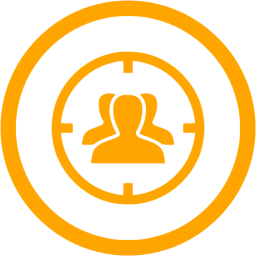 It allows sales reps to present leads with the most suitable product/service matrix for each individual account, and communicate with each lead and client at the right time, in the right way, in the right channel. This aspect alone can give you a competitive advantage in your industry. Is a CRM right for you? 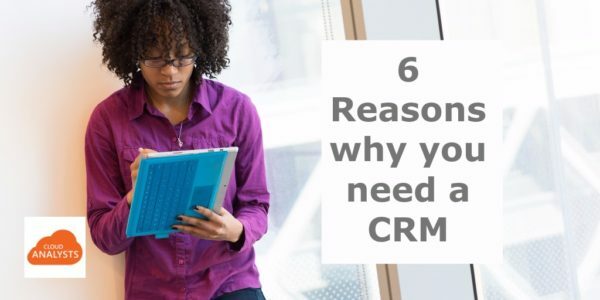 Some CRM are betters than others, but all will offer these 6 sales and business benefits to a certain degree. That’s why we think you should consider implementing a CRM in your business. Is it the solution for your company? We’d be happy to discuss your company needs, identify which CRM package might be best befitting, and any training and consulting needs you may have.